Sarasota, FL — October 31, 2017 — InvestorsHub NewsWire — Kali, Inc. (USOTC: KALY) today announced an online presentation scheduled Friday, November 2nd, 2018 to detail the strategy behind the recently announced plans with Puration, Inc. (USOTC: PURA) and Nouveau Life Pharmaceuticals, Inc. (USOTC: NOUV) to form a joint venture (JV) company to develop cannabis pharmaceutical products. The cannabis pharmaceutical market is anticipated to reach a value of $50 billion by 2029. Kali recently announced a letter of intent to acquire NCM Biotech, the developer and owner of a patented cannabis extraction process – U.S. Patent No. 9,199,960 entitled “METHOD AND APPARATUS FOR PROCESSING HERBACEOUS PLANT MATERIALS INCLUDING THE CANNABIS PLANT.” Kali and NCM anticipate closing the acquisition next month. Don't Miss Out! Join Our Newsletter And Beat The Market! Puration has previously licensed the NCM Biotech patent for use in specific commercial applications. Puration brings its commercial experience to the planned pharmaceutical JV. Nouveau has recently acquired a cannabis cultivation operation from Puration. In the JV, Nouveau would be tasked with developing a proprietary pharmaceutical grade hemp cultivar. NCM Biotech’s medical advisory team includes John N. Gaitanis, MD., Director of Child Neurology at Tufts Medical Center/Floating Hospital for Children; Lloyd R. Saberski, M.D., Associate Professor of Anesthesiology and Chronic Pain Management, Yale University, and John McMichael, Ph.D., President & CEO Beech Tree Labs. Representatives of the three companies plan to meet next week in Dallas, Texas at Puration’s headquarters. This press release contains forward-looking statements within the meaning of Section 27A of the Securities Act of 1933, as amended, and Section 21E of the Securities Exchange Act of 1934, as amended (the “Exchange Act”), and as such, may involve risks and uncertainties. These forward looking statements relate to, amongst other things, current expectation of the business environment in which the company operates, potential future performance, projections of future performance and the perceived opportunities in the market. The company’s actual performance, results and achievements may differ materially from the expressed or implied in such forward-looking statements as a result of a wide range of factors. 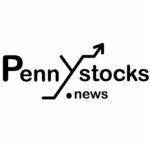 Pennystocks.News LLC was established to research a wide range of companies listed on the NYSE, NASDAQ, AMEX, OTCBB and Pink Sheets. We bring to you only the best penny stock news and trending stocks through our blogs, Social Media and E-mail newsletter. We provide real-time level 2 on our stock boards to help our members trade with a significant advantage over other traders without it. In addition to highly skilled research analysts, our team also has expertise in corporate finance, accounting, strategic management, marketing, and most importantly, investing and trading in all markets. ALLIANCE GROWERS TO ACQUIRE ESTABLISHED ONTARIO BASED RETAILER SPYDER VAPES INC.